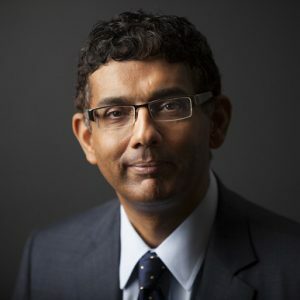 Join the Bay Area Republican Women Clubs in a lovely winery in East Contra Costa for an afternoon with noted documentary journalist and best-selling author Dinesh D’Souza as he details the impact of the Progressive movement in the USA. His new book Stealing America, was released in November, 2015 and has a rating of almost 90% on Amazon. 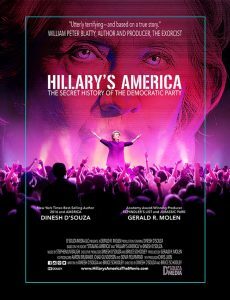 D’Souza’s new documentary, Hillary’s America: The Secret History of the Democratic Party, is based on the book and was released in theaters, nationwide in July, 2016. In 2010, D’Souza wrote The Roots of Obama’s Rage, described as the most influential political book of the year, set off a firestorm that ultimately led to D’Souza’s first film, 2016: Obama’s America which rose to the second highest grossing political documentary of all time. In 2012, his second analysis of Obama, Obama’s America: Unmaking the American Dream, climbed to #1 on the New York Times bestseller list. 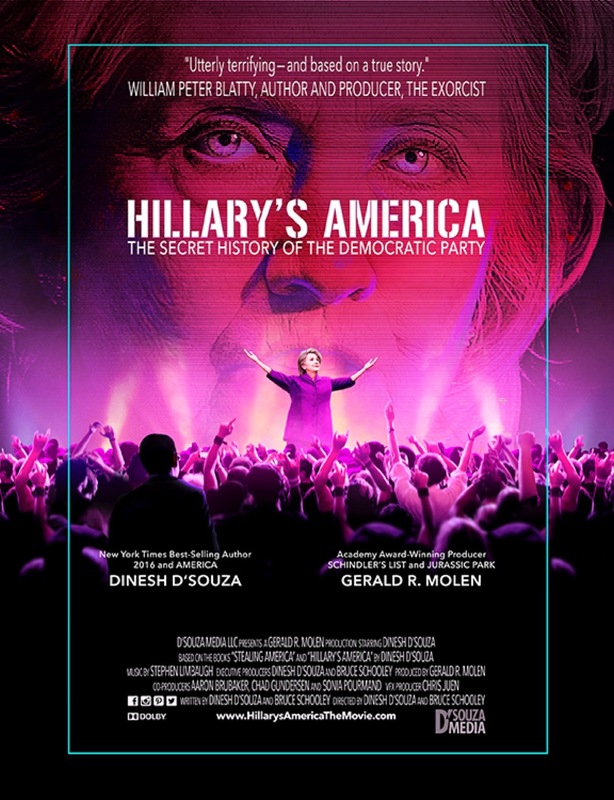 In D’Souza’s 2014 book, America: Imagine The World Without Her, became the #1 New York Times bestselling book and the movie by the same title was the sixth most successful political documentary of all time. Later that year, D’Souza found himself hauled into federal court for improperly donating money to a friend running for the Senate. He pleaded guilty, apologized, and was sentenced to eight months in a state-run confinement center near his home in San Diego. Includes a personalized signed book, professional photo with Dinesh, wine from the venue, and preferred seating for the keynote. 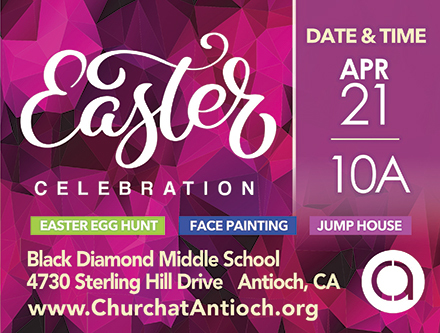 For Tickets contact: Liz Ritchie, President, East Contra Costa Republican Women Federated lizritchie@me.com or (925) 684-4995. For more information visit www.eastcontracostarepublicanwomen.org. His first book ,Illiberal Education (1991), publicized the phenomenon of political correctness in America’s colleges and universities and became a New York Times bestseller for 15 weeks. In 2002, D’Souza published his New York Times bestseller What’s So Great About America, which anticipated the case that would need to be made for American exceptionalism and was critically acclaimed for its thoughtful patriotism. His 2003 book, Letters to a Young Conservative, has become a handbook for a new generation of young conservatives inspired by D’Souza’s style and ideas. In 2010, D’Souza wrote The Roots of Obama’s Rage, which was described as the most influential political book of the year, and set off a firestorm which ultimately led to D’Souza’s first film, 2016: Obama’s America. The film quickly rose to the second highest grossing political documentary of all time. D’Souza’s second analysis of Obama came in his 2012 book, Obama’s America: Unmaking the American Dream, which climbed to #1 on the New York Times bestseller list. His 2014 book, America: Imagine The World Without Her, became the #1 New York Times bestselling book and the movie by the same title was the sixth most successful political documentary of all time. In the fall of 2014, D’Souza found himself hauled into federal court for improperly donating money to a friend who was running for the Senate. D’Souza pleaded guilty, apologized for his offense, and was sentenced to eight months in a state-run confinement center near his home in San Diego. D’Souza’s latest book Stealing America, rose to #16 on Publisher’s Weekly. Homicide detectives from the Contra Costa County Office of the Sheriff arrested 69-year-old John Tercheria on Monday, August 8 in connection with the death of his wife in Blackhawk, on Sunday. Tercheria was booked into the Martinez Detention Facility for murder. He is currently being held in lieu of $1 million bail. At about 4:10 p.m. on Sunday, August 7, 2016, Deputy Sheriffs responded to a suspicious circumstance at a home on the 4300 block of Quail Run Lane in Blackhawk. Deputies arrived on scene and found a 69-year-old woman, who was later pronounced deceased. A homicide investigation was launched. The woman is identified as 69-year-old Linda Marie Tercheria, wife of suspect John Tercheria. They both resided at that home. Anyone with any information on this case is asked to contact the Office of the Sheriff at (925) 646-2441. For any tips, please email: tips@so.cccounty.us or to call 866-846-3592 to leave an anonymous voice message. Today, East Bay Regional Park District Director Diane Burgis, candidate for Contra Costa County Supervisor in District Three, earned the enthusiastic endorsement of the Contra Costa County Deputy Sheriffs Association, Antioch Police Officers Association, Sheriff-Coroner David Livingston and District Attorney Mark Peterson, as well as the endorsement recommendation of the Executive Board of the United Professional Firefighters of Contra Costa County, Local 1230. Fire and emergency resources in East County are inadequate, leading to longer response times and lower quality fire and emergency services. Multiple district firehouses have closed due to a lack of proper funding. The Contra Costa Deputy Sheriffs Association is dedicated to the security and well-being of Contra Costa’s citizens and the protection of its 830+ employees. The United Professional Firefighters of Contra Costa County, Local 1230 includes over 450 firefighters from the Contra Costa County Fire Protection District, East Contra Costa County Fire District and various city fire departments. 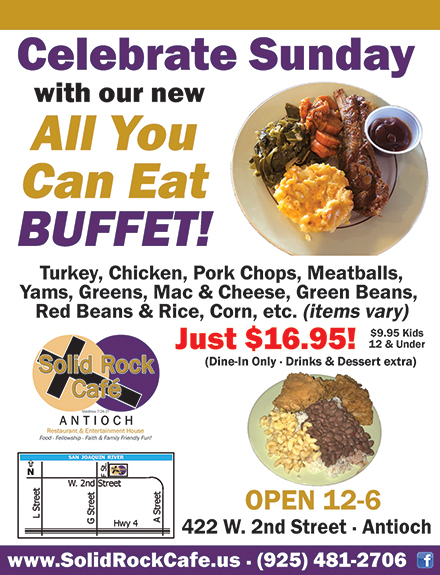 The Antioch Police Officers Association represents 120 police officers serving in the Antioch Police Department. Diane Burgis currently serves as an East Bay Regional Parks District director and is the executive director of the Friends of Marsh Creek Watershed. Previously, she served as an Oakley city councilmember and spent over ten years as a small business owner. She highlights four priorities for her candidacy: improving public safety, attracting economic development, ensuring fiscal accountability and preserving the delta for future generations. Diane Burgis is also endorsed by County Supervisor Mary Piepho, Assemblymember Joan Buchanan and a broad coalition of elected officials and leaders from every city and community in the district. In July, Governor Brown signed a bill by Assembly Member Jim Frazier (D – Oakley) to remedy an inconsistency within the State Highway Operation and Protection (SHOPP) by stating that projects relating to operational improvements on state highways are eligible for inclusion in the program. For nearly 20 years, investments in state highways, bridges, and projects to improve traffic operations facilities have always been included in the SHOPP. Oddly, current law governing the preparation of the SHOPP does not explicitly include operational improvement projects in the list of projects to be included in the SHOPP. AB 2289 puts the ‘O’ in the SHOPP. “The Commission appreciates Assembly Member Frazier’s leadership to ensure that operational capital improvements are included as an eligible component for asset management planning and capital expenditure through the SHOPP,” stated Susan Bransen, Executive Director of the California Transportation Commission. AB 2289 had the support of the California Transportation Commission, Automobile Club of Southern California, San Diego Association of Governments, Associated General Contractors, Transportation Agency for Monterey County, and San Francisco County Transportation Commission. This bill passed through the legislature with widespread bipartisan support and will become effective on January 1, 2016. Blue Shield of California Foundation (BSCF) announced on Tuesday, August 2, 2016 a grant of $15,000 to STAND! for Families Free of Violence (STAND!) to support its capacity to provide essential services and shelter for survivors of domestic violence and their families. These core operating funds offer the flexibility to respond to new demands and opportunities so that STAND! can continue to reach many of the most vulnerable Californians. Blue Shield of California Foundation is one of the state’s largest and most trusted philanthropic organizations. Our mission is to end domestic violence and improve health equity for low-income and underserved Californians. To learn more, visit www.blueshieldcafoundation.org. STAND! 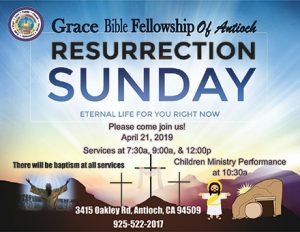 for Families Free of Violence is a catalyst for breaking the multi-generational cycle of violence, promoting safe and strong relationships, and rebuilding lives.” It is the oldest and the only agency in Contra Costa County that works to save lives, rebuild families, and change the future. To learn more, visit www.standffov.org. 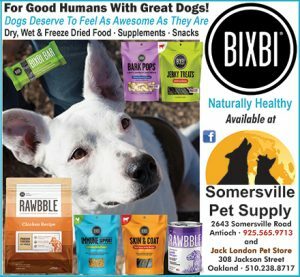 On Tuesday, July 19th, 2016 at 9:45 PM, Richmond police officers responded to calls of multiple shots fired in the city’s Central District – North Richmond, with a possible victim of a shooting. Officers arrived and found 32 yr. old Paul King of Richmond suffering from multiple gunshot wounds to his upper torso. Mr. King was lying in the middle of the roadway in the 200 block of Gertrude Ave. where he succumbed to his injuries. Homicide Detective M. Castillo along with other detectives responded to the scene and began their investigation. 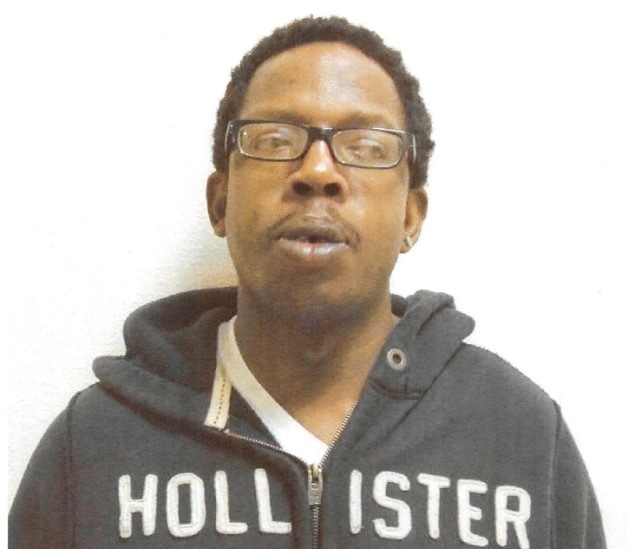 Detectives learned that the incident was about an argument between Paul King and the suspect. The disagreement escalated and the suspect shot Mr. King multiple times before he fled from the scene. Detective Castillo identified the suspect as 39 yr. old Kendrick Barfield of Richmond. On Friday, July 29th, 2016, Detective Castillo, along with RPD’s Special Investigations Section (SIS) detectives located and arrested Barfield in an apartment in the city’s Southern District. On Tuesday, August 2nd, 2016, Kendrick Barfield was charged for the murder of Paul King and multiple enhancements. His bail is set at $5.8 million. On Friday, July 29, Contra Costa County educators were well represented as presenters at CSU East Bay, for the second annual Better Together: California Teachers Summit. Opening the program was Contra Costa County Office of Education’s Deputy Superintendent Pamela Comfort, Ed.D. and the county’s current Teachers of the Year Kate Perry (Liberty Union High School District) and Maria McClain (Antioch Unified School District). The California Teachers Summit is a free statewide day of learning and networking that is open to all California PreK-12 teachers, teacher candidates, school administrators, and other educators. One of 38 locations across the state, CSU East Bay welcomed hundreds of Bay Area teachers to share ideas, join a teacher network, and learn effective strategies for implementing the new California Standards in their classrooms. The Summit featured keynote addresses by education leaders, TED-style EdTalks presented by local teachers, and Edcamp discussions on timely topics such as the California Standards in English/Language Arts and Math, and the Next Generation Science Standards. In the early afternoon, Perry and McClain, together, presented a stimulating EdTalk session to all the attending educators. The audience was in full attention as the two gave real-life stories on how they learned to reach some of their most challenging students through the years. Perry also offered her comments. Congressman Mark DeSaulnier (D, CA-11) will host five more town hall meetings in the communities of Danville, Orinda, Rossmoor, Concord and Pittsburg during the month of August. He held his first in Richmond on Monday night. One of DeSaulnier’s top priorities is to be accessible to his constituents. Since being elected to Congress in January 2015, Mark has hosted 23 town hall meetings and mobile district office hours throughout Contra Costa County. “Hearing directly from the residents of Contra Costa County helps make me a better representative. It is my hope that these town hall meetings will serve as a place for constituents to share their thoughts and opinions on issues important to our community. I invite you to join me at a town hall meeting to listen to a Congressional update on key policy issues, learn about our legislative work in Congress, and discuss the broad range of services we can provide,” said Congressman DeSaulnier. The shooting death of Richard “Pedie” Perez by the Richmond Police Officer was unnecessary. The Officer-absolving findings by the RPD and D.A.’s Office also was wrong. I know because I personally investigated the matters for the victim’s family attorney. I have about 75,000 hours of law enforcement related investigations employment, experiences, training, education, and a lot of expertise in death investigations. For 33 plus of those years, out of 50 years total, I was a full time sworn Officer, Police Supervisor, Investigations Units’ Supervisor, and State P.O.S.T. certified Police Supervisor and Homicide Investigator. I personally examined and photographed Perez’s deceased body, finding that he had more gunshot bullet entries than the three the police claimed. Perez, in my opinion and experiences, was not a violator of Penal Code Section 647f – Public Intoxication (as corroborated by the surveillance video tapes). Perez was also not “swaying from side to side” as police claim. The agencies’ use of DUI levels regarding Perez was also disingenuous and misleading! Perez was not driving! I also interviewed eye witnesses, reviewed the store’s recorded video tapes of the events, and Perez’s and the responsible officer’s actions. I overall determined that the Officer didn’t have to use deadly force when he instead had readily available non-lethal alternatives at hand. As in the Oscar Grant shooting death case, which I also personally investigated, the actions by the officers in these, and other similar, cases further increasingly endanger other uninvolved officers’ lives, performances, and community support (as evidenced, unfortunately, by the on-going attacks and deaths nationwide of even uninvolved officers). I’ve been alerting and warning law enforcement agencies over the years now about such possibilities and predicted repercussions. It seems to have fallen on deaf ears, with more uninvolved officers suffering the consequences. It’s time that they finally admit that they’ve responded wrongly, have been close-minded, and should now move forward by honestly and fully addressing how to positively try to correct this dangerous and deadly environment they’ve contributed to. Intimidating and verbally attacking incidents’ news reporters by police defenders and POAs is reprehensible. They can continue to hide from it but I again warn that it could cost more citizens’ and officers’ lives, and their families, while they remain in their self-protecting denials with their heads buried in the ground. Don’t they get it, or even care?